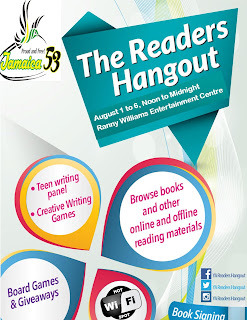 The Young Adult (YA) Readers Hangout at the JCDC Independence Village will present three award winning Jamaican authors in the Young Adult (YA) book segment of the Auntie Roachie Film, Television and Literary festival which will be held on Monday August 3 between 2PM and 2:20PM. Featured readers will be author of Bad Girls in School and Young Heroes of the Caribbean, Gwyneth Harold Davidson, the author of Inner City Girl and The Salt Loses Her Savor, Colleen Smith Dennis and the author of two novels Sketcher and Skid, Roland Watson Grant. The YA Readers Hangout will be open all six days of the Independence Village, noon to midnight, August 1 to 6. The booth will have Jamaican YA fiction books on display for browsing. Literary festival collaborator, Gwyneth Harold Davidson, will be on hand to share her thoughts on Jamaican YA books that she has read, and which are available in print or e-book editions. Festival goers who play chess and who enjoy pen and paper activities are invited to drop in, and hang out at the YA Readers booth. YA books are considered to be fiction and non-fiction books that are marketed to adolescents. YA books include well-known classics, as well as contemporary books and the themes identify with coming-of-age issues. YA books can be found across several genres including romance, fantasy, graphic contemporary and historical fiction, and literature. The JCDC Independence Fair will feature daily and nightly entertainment for the family including music performances, exhibitions, craft fair and Jamaican food and drink. There is no cover charge to enter the fair before 5PM. A live reading at the Lightship Awards ceremony in the fall of 2011, attracted a London Publisher and in February 2012, Roland was offered a book deal to turn Sketcher into a full-length novel of the same name. Sketcher, the novel was released in May 2013 to critical acclaim and was nominated for an Amazon Rising Star Award that same year. The novel has received several accolades: Times of London called Roland Watson-Grant’s debut: “A wonderfully joyous, eccentric first novel”; Bookseller Magazine described it as “a tragicomic tour de force”; and the Spectator referred to Sketcher as “most original by a mile”. A Turkish version of Sketcher was released in Istanbul in October 2013. The sequel, entitled Skid, WAS released by Alma Books in June 2014. 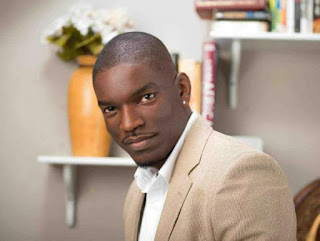 Roland appeared at the Two Seasons Talking Trees Literary Fiesta held in Treasure Beach in February 2012; and the Kingston Edition in February 2014. Colleen Smith-Dennis was born in the parish of St. Elizabeth. She attended the Maggotty High School and graduated in the late seventies. After completing one year Youth Service, she attended the Bethlehem Moravian Teachers College where she specialized in the teaching of English Language at the secondary level. She later enrolled in the University of the West Indies where she completed a certificate and a honours degree, again in the field of the teaching of English. In 2006 she completed her Masters in Education in the same area again at the University of the West Indies. Currently, she is a teacher of English at a high School in St. Andrew. Published by LMH Publishing in Kingston, her YA novel, Inner City Girl was nominated for the 2011 IMPAC Dublin Literary Award. Her other novels are For Her Son and The Salt Loses Her Savor. Gwyneth Harold is a Jamaican novelist, short story writer and public relations practitioner. Her work in the YA genre has been for printed books, online books, newspaper series and radio series. She is also a collaborator of the Two Seasons Talking Trees Literary Fiesta that is held in Treasure Beach Jamaica. Harold Davidson’s manuscript for Secret Identities of the Rio Minho received the JCDC 2002 Award of Merit for Novel; and her short story collection Here and Elsewhere won the Una Marson Book Prize 2001 for Collection of Short Stories. In 2007, her novel Bad Girls in School was short Listed for Vic Reid Prize for children 2007, and was published by Pearson in that year. Harold Davidson’s adventure series Fly Guy ran in the Gleaner’s Youth Link and is also a four-part audio drama series that is freely available on YouTube. 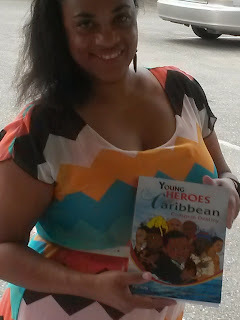 Her contemporary novel with historical stories, Young Heroes of the Caribbean was independently published in 2014. Historical fiction stories from the novel were used in the Jamaica Information Service (JIS) radio series Young Heroes, which was aired in 2014 as a part of the organisation’s 50th anniversary celebrations.